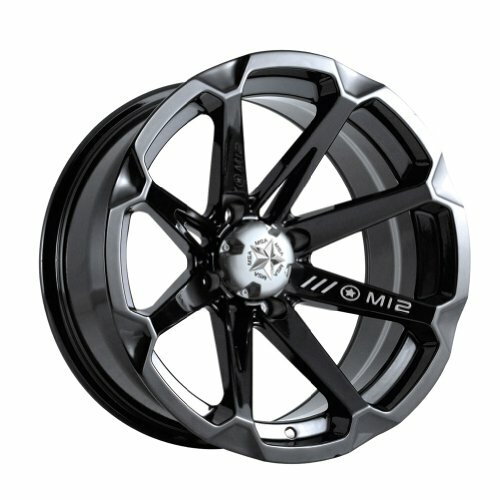 he M12 Diesel atv wheel by Motosport Alloys is a flawless design that has taken the ATV and UTV industry by storm. Arguably one of the best looking styles of all-time, the M12 is also very functional, utilizing our industry first MSA bolt-on cap and backed by a lifetime structural warranty. Want to mix your wheels up and have black caps on your black Diesel wheels? visit our online store and pick up an optional set of black MSA Caps for a complete custom look. Get your hands on a set today! If you have any questions about this product by MotoSport Alloys, contact us by completing and submitting the form below. If you are looking for a specif part number, please include it with your message.